Protect your Muvi K-Series from rain, dust and scratches thanks to the protective weatherproof silicone cases from Veho. The Muvi K-Series protective silicone cases are perfect for anyone looking to safeguard their Muvi K-Series camera without the need to house it in the waterproof case. When in the silicone case, the camera is still fully functional and operational, including access to the record button and Wi-Fi switch. Ideal for most action sports such as biking, BMX, skiing, snowboarding or outdoor pursuits. 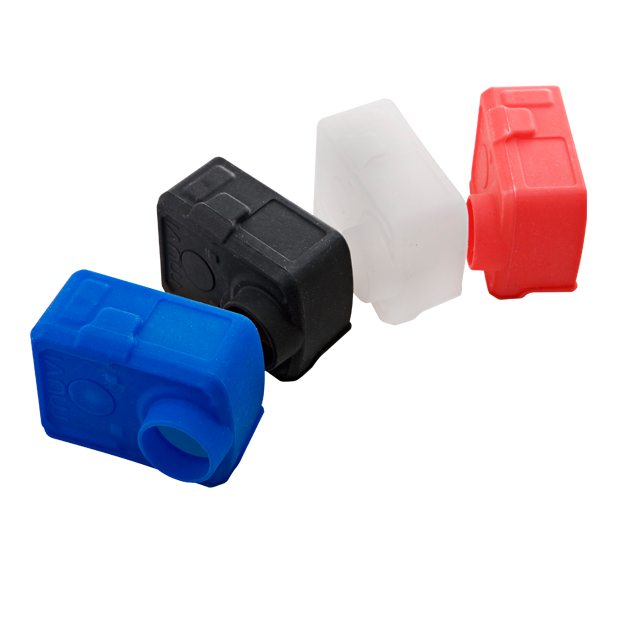 The silicone cases also come in 4 fantastic colours to really customise your Muvi K-Series camera, they come in black, blue red & transparent. Protect your Muvi K-Series from rain, dust and scratches. Comes in 4 fantastic colours to really customise your Muvi K-Series camera. 4 x Muvi K-Series Protective Silicone Cases - Black, Blue, Red & Transparent.